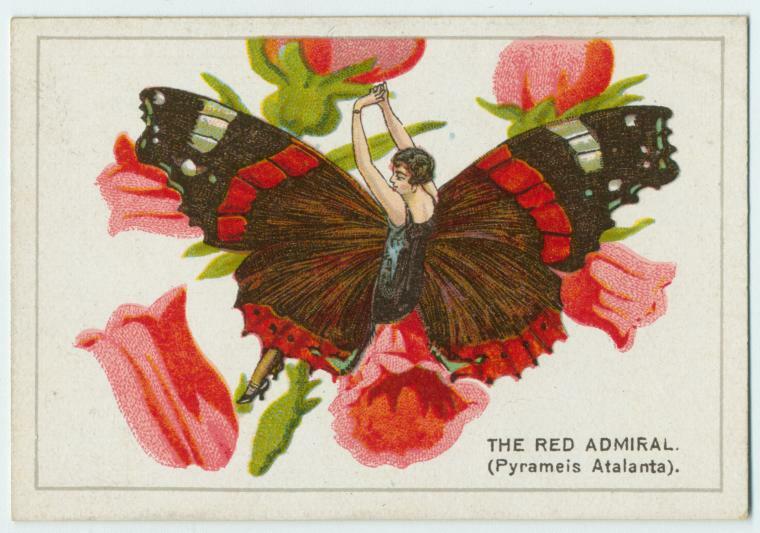 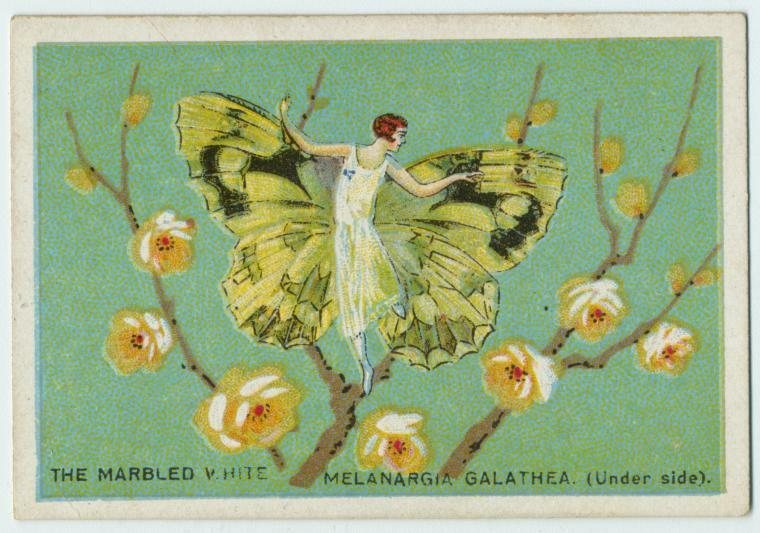 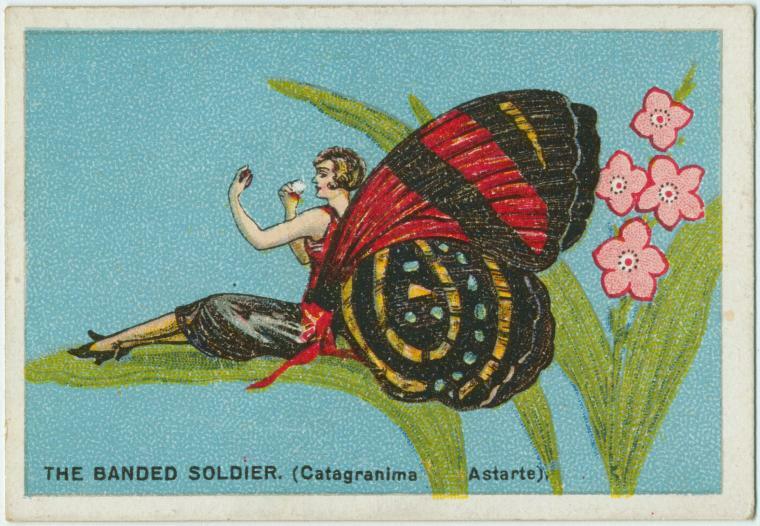 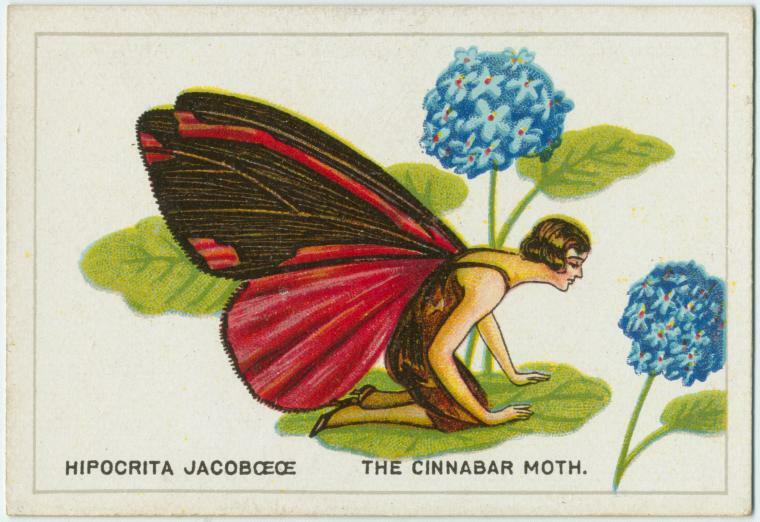 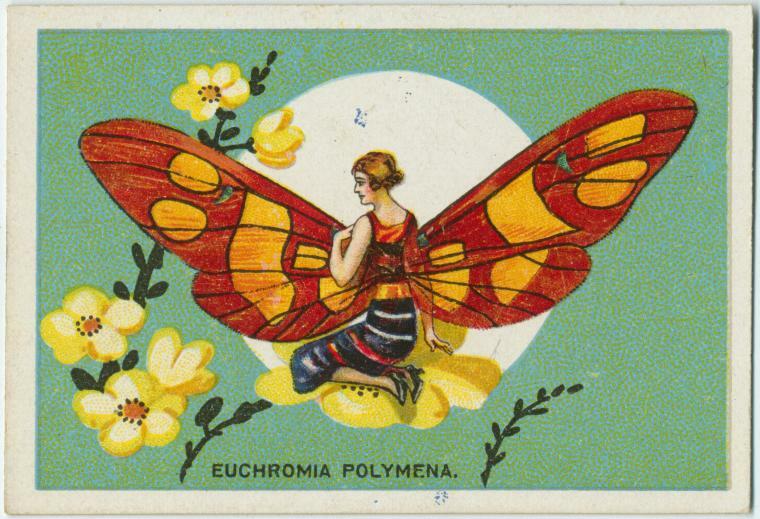 A lovely little rabbit hole I discovered in the New York Public Library Digital Archives: a collection of butterfly cigarette cards that inexplicably swap out the insects for jazz babies, giving new meaning to the term social butterfly. 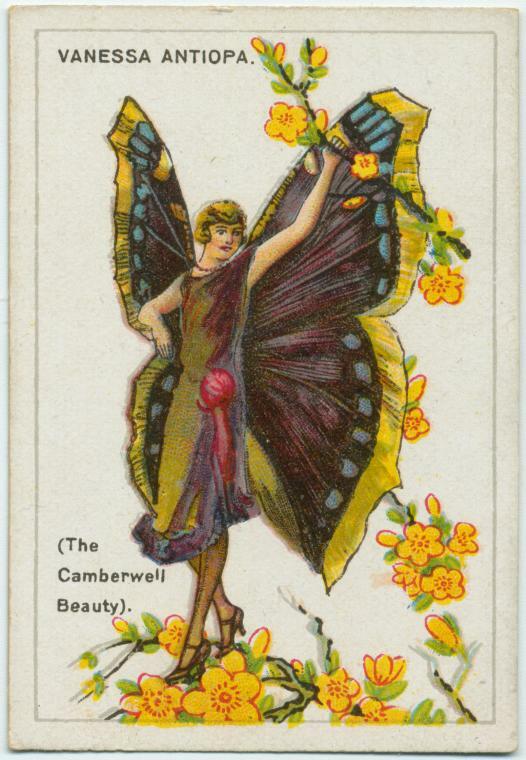 If you’d like to see the whole set, hop here. 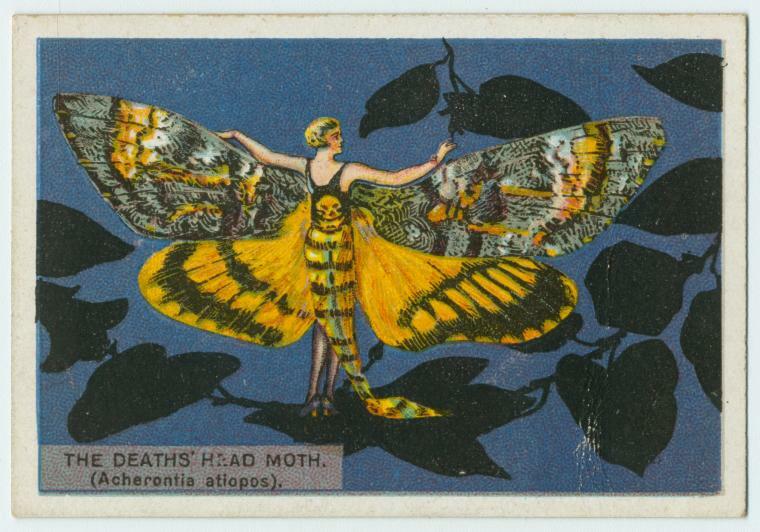 My favorite is Death’s Head Moth! 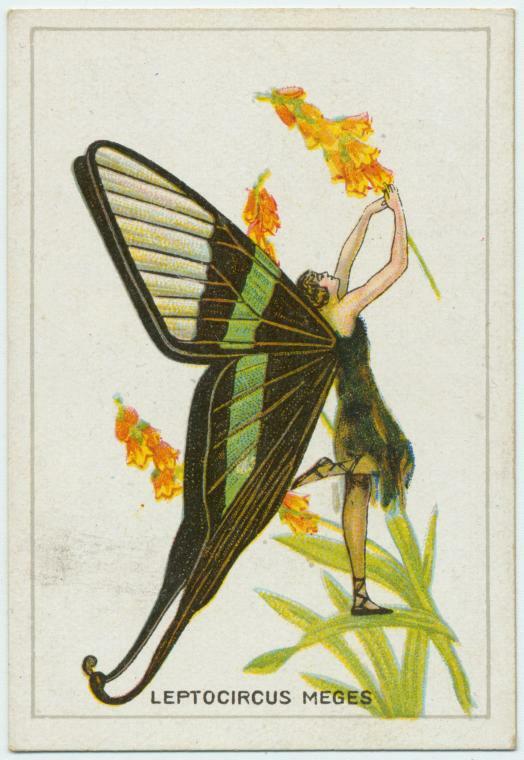 Awesomeness! 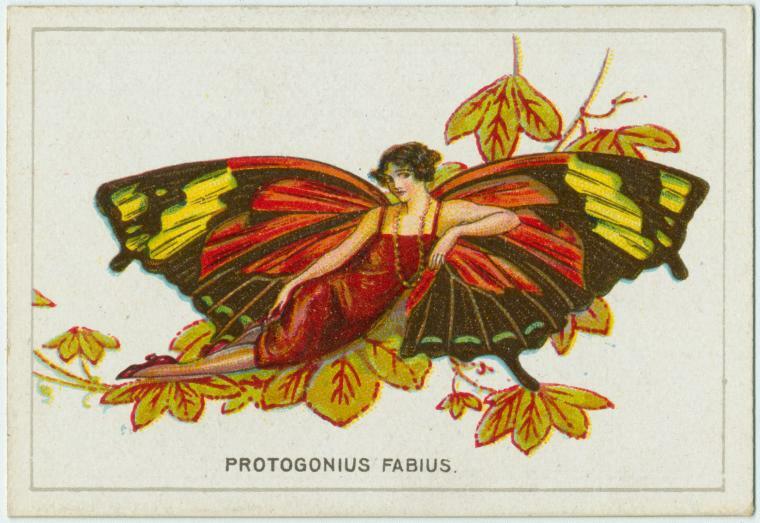 i love digital archives- great find. 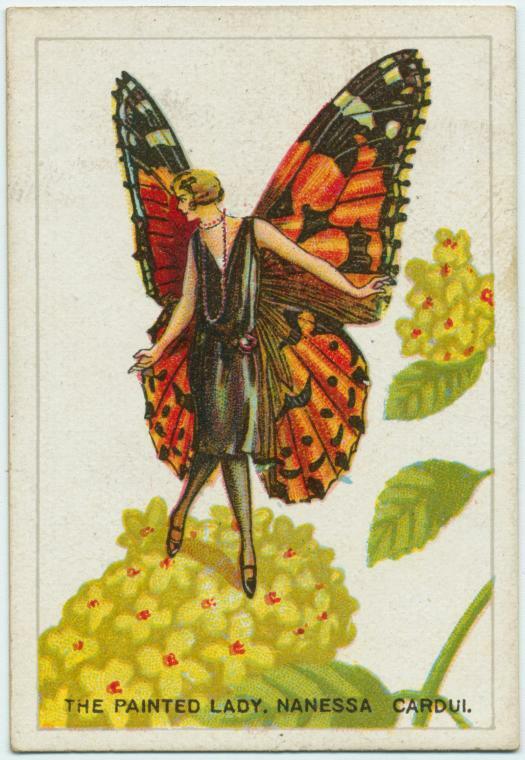 You are currently reading Flapperflies at Quite Continental.